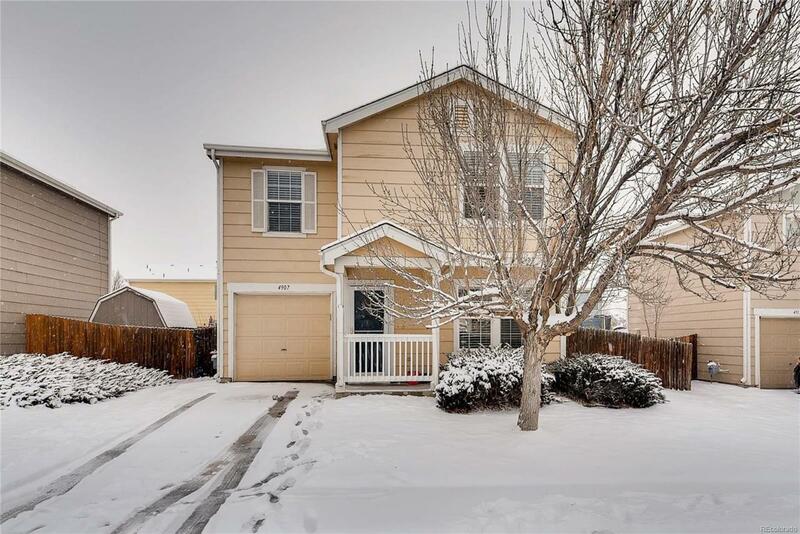 This lovely 2-story in Farmington features 3 beds, 2 baths, living room, kitchen, upstairs laundry and attached garage. The energy efficient furnace, central air conditioning and ceiling fans keep this home comfortable all year long. Nicely updated throughout and welcoming from the moment you arrive. It is easy to picture yourself calling this one home. The many windows keep this cheerful home light and bright. Enjoy warm summer evenings relaxing on the back patio or gardening in the yard. Close to dining, shopping, entertainment and other amenities. A short commute to Longmont, Arvada, Denver, Westinster, Boulder and beyond. Welcome Home!